The Air Traffic Services Management System and Air Traffic Control Radar at Entebbe International Airport have been upgraded and this has led to migration from use of manual to automated electronic strips. The ATC Radar can now integrate with Next Generation Technologies and can use data links with the Automatic Dependency Surveillance Broadcast (ADSB) in line with the International Civil Aviation Organization (ICAO) Aviation System Block Upgrades (ASBU). 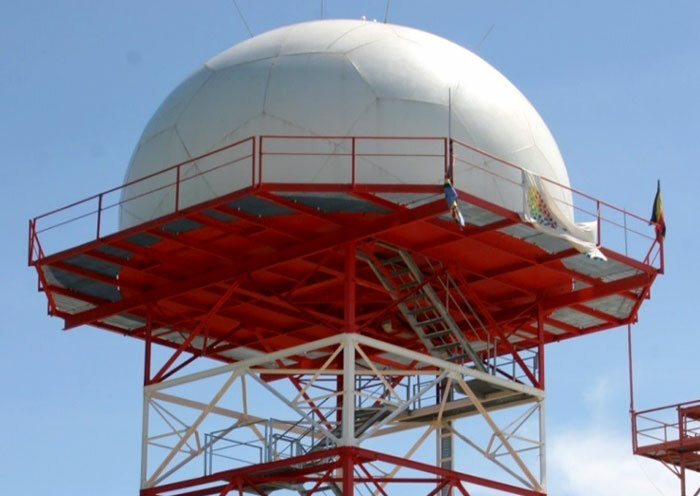 The upgrade has subsequently increased the safety nets from four to more than ten and given the Radar an extended lifespan of another ten years. The Aeronautical Information Management processes at Entebbe International Airport were automated to enable automated management of flight plans, notices to airmen (NOTAM) and electronic Aeronautical Information Publications. The new system has led to efficiency and reduction in costs incurred by air operators. Pilots and other airspace users now enjoy the convenience to perform flight planning and self-briefing using any web enabled device as all products and services provided by AIS can now be accessed online. Phase two of the expansion of the Long Term Car Parking was completed. It involved creation of additional capacity to park 150 cars to increase the total Long Term Car Parking capacity from 260 to 410 cars. 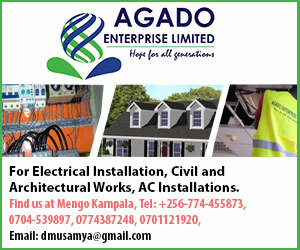 The project was undertaken by Energo Uganda Co. Ltd. The next phase will involve construction of a multi-storeyed car parking facility to accommodate an additional 400 cars in the next four years. Immigration booths in the Arrivals Hall at Entebbe International Airport were modified to increase the number of counters from 14 to 20 to enhance efficiency. Some of the new Immigration booths installed are each manned by four people and others by three instead of two, which was the case with the old that were replaced by China Nanjing. The development enhanced efficiency and passenger facilitation.Of the new immigration counters, one has been specifically dedicated to passengers with special needs (such as pregnant women, parents with young children and the disabled), crew, first and business class passengers. The project for modification of the departures immigration counters to increase their number from six to eleven has also commenced and is expected to be complete by mid July 2018. CAA implemented the first phase of the Electronic Terrain Obstacle Data (eTOD) to facilitate Performance-based navigation to enable aircraft fly their preferred profiles without limitations of obstacles. Decent accommodation was extended to Aviation Police (AVPOL) through construction of 42 new state-of-the-art Aviation Police units from internally generated revenue in Kigungu. The purpose was to relocate AVPOL from the site for the new Cargo Centre to pave way for airport expansion and upgrade works to progress. The AVPOL families have already been relocated to the new facility. The car park lighting system for Entebbe International Airport was upgraded with installation of new modern lights to enhance security, ensure safety and curb crime. A 400KVA No-Break generator was installed on 6th February 2017 to provide uninterruptible power supply to the Airfield Ground Lighting System and other Navigation Aids to replace the 250KVA No-Break generator. A heavy duty passenger escalator has been installed at Entebbe International Airport (EIA). 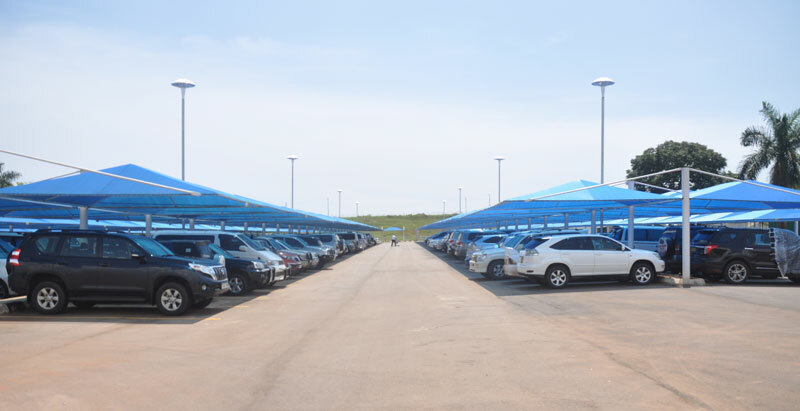 The Automated Car Park Management System at Entebbe International Airport was upgraded with installation of more robust and user friendly equipment to enhance efficiency and service provision. The new system manufactured by Scheidt& Bachmann GMBH of Germany included seven new auto pay machines and more sensitive cameras that were installed in 2016. The old system had only four pay machines. Construction of a new Cargo Centre commenced in May 2016 and so far 60% of works being undertaken by China Communications Construction Company (CCCC) have been accomplished. The contractor is also working on the airside, landside access roads and works for expansion of the Aircraft Parking Apron. Cargo volumes have grown from 6,600 metric tons recorded in 1991 to 69,000 tons at the turn of 2017. Projections put the tonnage at 172,000 by 2033. The new 100,000 tones capacity Cargo Centre will be a self-contained facility with a Parking Apron, landside and airside access roads, cooling facilities, a Freight Forwarders Parlor and ancillary business outlets. It is part of the US Dollars 200 million loan to Uganda by China through the Exim Bank of China. Part of the loan will be used to re-surface the Runways, Taxiways and strengthen and expand the Aircraft Parking Aprons. The supervising Consultant for the projects is Dar Al – HandasahShair& Partners. The new Cargo Centre will be completed by the end of 2018. As soon as it is complete, the old Cargo facility will be razed down and in its place a new Passenger Terminal building erected to connect to the current terminal building. Works for the new terminal building will be undertaken from 2019 to 2021. 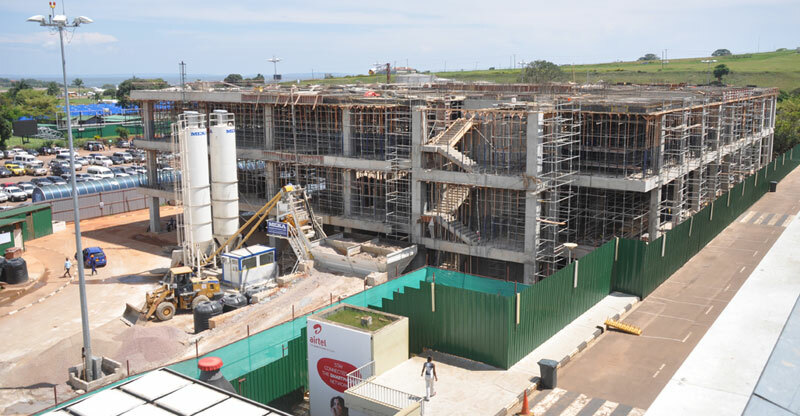 The entire project for expansion and upgrade of Entebbe International Airport is at 33% level of completion. Rehabilitation works on the old Runway 12/30 commenced in May 2018 and are expected to be complete by November 2018. The landside expansion by M/s Seyani Brothers (U) Ltd seeks to provide more room and comfort for service users, especially passengers. On completion, the project will deliver a new Arrivals and Departure block. It is fully funded by CAA to the tune of 42 billion shillings from internally generated revenue. The existing Passenger Terminal building was opened in 1974 for peak hour traffic of 250 arriving and 250 departing passengers. The Terminal got some limited improvements as the country prepared for the Commonwealth Heads of Government Meeting (CHOGM) in 2007, elevating it to the current capacity of 410 arriving and 360 departing passengers. The Master Plan projects 930 arriving passengers and 820 departing passengers during peak hours, by 2033. The expansion is critical in providing for the growth and ensuring a good customer experience. ii A Computerized Maintenance Management System (CMMS) and Airport Operational Database (AODB) system. The three year project commenced in March 2016 and Uganda has on its part come up with counterpart funding of approximately USD 250,000 (per year) towards implementation of the project that is expected to be fully delivered by the end of 2018. 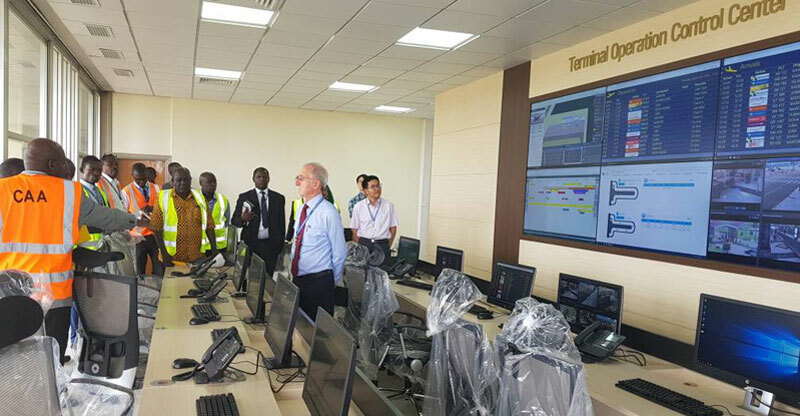 A new Terminal Operations Control Centre has already been put in place at Entebbe International Airport and a training facility fully equipped at the CAA Head Office. The initiative will go a long way in improving safety, efficiency of airport systems and attainment of sustainability through strengthening of the human resource capacity in terms of training.